This weekend marks the big opening of ski areas in the Pyrenees for the 2017-18 ski season. Although half-a-dozen ski areas had already opened in the French and Spanish Pyrenees, some opening early including Baqueira Beret and Massella in Spain because of good early November snowfalls in the region, it's this weekend that dozens of areas including the rest of the region's bigger players open. The early December opening is particularly important for the ski areas on the Spanish and Catalan-speaking side of the mountains as there's a major public holiday in the region and they are competing to attract a potential bumper pre-Christmas trade. The good news is that conditions continue to look good with ski areas reporting 20-50cm of fresh snow in the past 36 hours across the Pyrenees. Both of Andorra's big ski areas, GrandValira (which incorporates Soldeu and Pas de la Casa), pictured above yesterday, and VallNord (Arinsal, Pal and Arcalis), the former the biggest in the Pyrenees with 210km of runs, are open today. Grandvalira note it is 229 days since the 16-17 season ended. 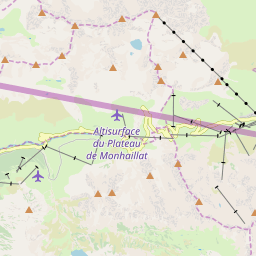 Resorts in the French Pyrenees have been reporting more fresh snow in many cases than in the Frenh Alps with snow down to village level in St Lary, Cauterets and Ax les Thermes. 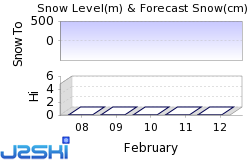 Cauterets reported 50cm new snow in 24 hours up to yesterday. 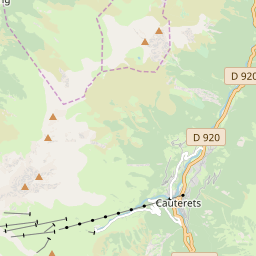 Cauterets (now 70% open) , Peyragudes (15 slopes open) and St Lary (Saint-Lary 1900 Espiaube) are open this weekend, as is Les Angles is open in the Pyrenees Orientale. Ax 3 Domaines in the Ariege - Bonascre area is also opening today and possibly more on Sunday. Grand Tourmalet will open from 7th December. In Spain Baqueira Beret has announced that weather permitting, the Val d'Aran and Valls d'Àneu resort will bring all its 35 ski lifts into service to provide access to 80 runs with a total of 118 skiable kilometres. 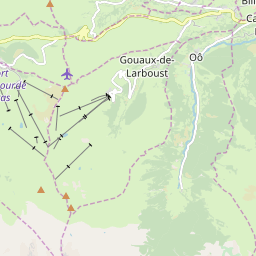 Ski Hire Shops in Barèges, La Mongie and Peyragudes.